Dexter Daily: POLL: Should Dexter Season 8 Pick Up Right Where Season 7 Left Off? POLL: Should Dexter Season 8 Pick Up Right Where Season 7 Left Off? 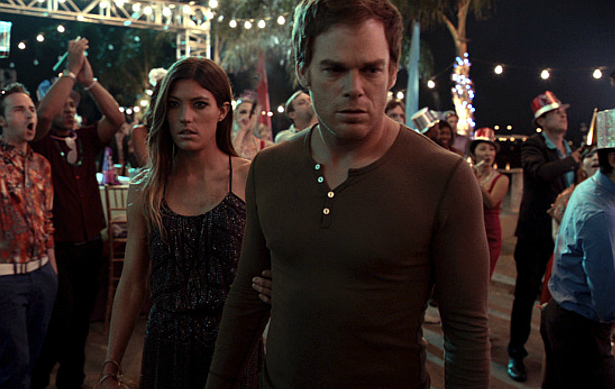 The Season 7 finale of Dexter ended in a cliffhanger, and in five months from today, we'll all know what's in store. Do you think that it's necessary for the Season 8 premiere to pick up right where Season 7 finale left off (after new year's countdown), or a time jump would be a better choice? Vote below, and sound off in the comments. Should Dexter Season 8 pick up right where Season 7 left off?